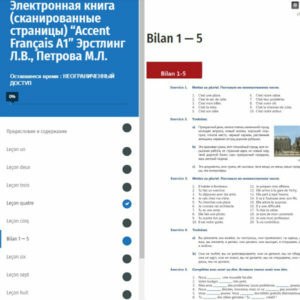 Интерактивный курс «Accent français А1» Эрстлинг Л.В., Петрова М.Л. This course is intended for Russian-speaking students and you will be able to use it on the Russian version of the website only. 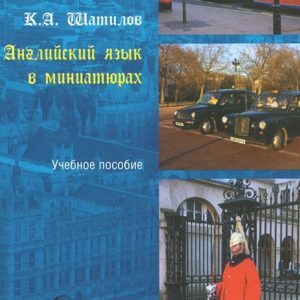 It is based on the textbook “Accent français A1” by L. Erstling and M. Petrova and basically repeats its content and structure. 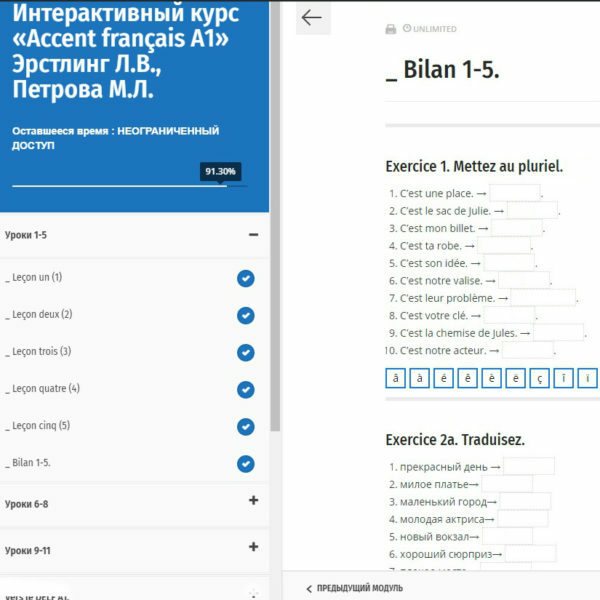 Exercises and tests from the textbook are transformed into a format of interactive tasks which evaluated by the application automatically. All necessary audio materials are integrated into the course body and available at appropriate points of the course. The course is designed for self-learning.